Although there is no higher degree than that of a Master Mason, the 29 degrees of the Scottish Rite serve to enrich the philosophy of the Symbolic Lodge. A Mason who chooses to further his Masonic experience by becoming a 32° Scottish Rite Mason will be expanding upon the fundamental principles of Freemasonry. In the Scottish Rite, you will indeed find an untold wealth of knowledge. It will teach you more about Masonry. It will answer some of the questions raised in the blue lodge degrees. It is a sort of “graduate course” in Masonic teachings. In fact, it aids, supplements and reinforces the blue lodge in every way. As organizations, these bodies are mutually dependent because they strengthen each other. By joining Scottish Rite, you have an opportunity to expand upon your knowledge of Freemasonry, to widen your circle of friends, and to serve humanity in unique ways. Further Light In Masonry through the exemplification of the 4th - 32nd degrees. Expanded network of Masons in each of the 101 Scottish Rite Valleys in the Northern Masonic Jurisdiction. Access to exlusive benefits and programs only available to Scottish Rite Masons. Premium website content for members only. The Scottish Rite is one of the appendant bodies of Freemasonry that a Master Mason may join for further exposure to the principles of Freemasonry. Freemasonry is a fraternity whose membership must be sought by the candidate. So, in other words, to be a Mason, ask a Mason how to become a member. To become a Scottish Rite Mason, you must first be a Master Mason. 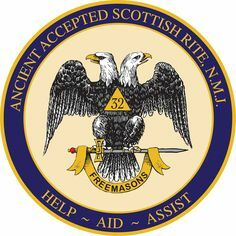 You can then complete a membership application to join a Scottish Rite Valley near you and begin your journey towards becoming a 32° Scottish Rite Mason.